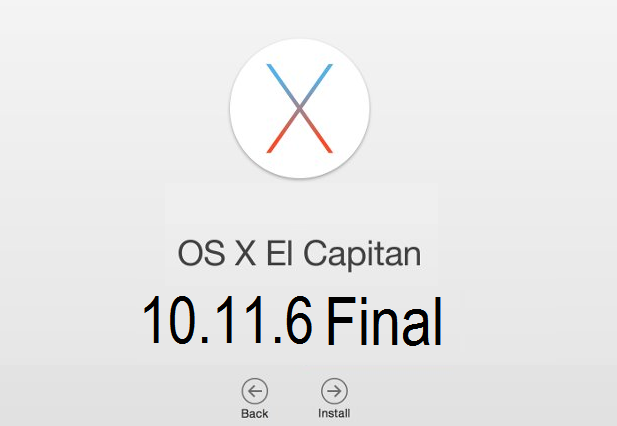 Apple has officially releases the full and final Mac OS X El Capitan 10.11.6 (Build: 15G31) Delta / Combo Update with Safari 9.1.2 web browser for general public user. Mac device users can instantly upgrade to OS X 10.11.6 Final Version to experience all new features, functions, fixes and improvements. The Direct Download Links of OS X 10.11.6 Delta / Combo Final .DMG Update Files are available and shared below. The latest OS X 10.11.6 Update includes some traditional changelog just like previous releases i.e. bugs fixes, security improvements, performance and stability enhancements etc. If you're running an old OS X version, then you can get official OS X 10.11.6 Final Update directly from Apple by navigating to App Store >> Software Update option. All Mac OS X developers can go to OS X developer website for official OS X 10.11.6 Free Download. All OS X non-developers can still install and activate OS X 10.11.6 without UDID developer account with iTunes for free. Just Download OS X 10.11.6 Without App Store and via Direct / Torrent Links posted below.